Your vision peels at the edges, folding in. You spend a day seeing how many coins you can fit into the hollows above your collarbones. 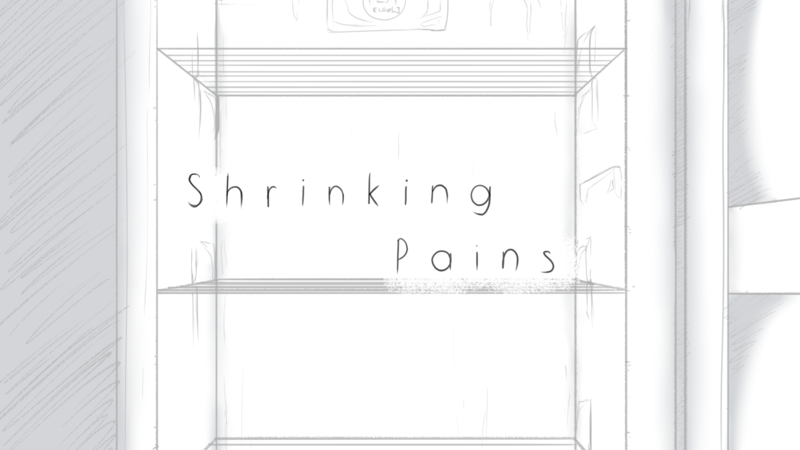 Made in 48 hours for the Global Game Jam 2018, Shrinking Pains is a short narrative experience that explores a semi-autobiographical struggle with anorexia through a mix of visual novel and interactive poetry. To promote Shrinking Pains and grow its popularity (top games), use the embed code provided on your homepage, blog, forums and elsewhere you desire. Or try our widget. The full release Andriod version of Shrinking Pains. Play as a young sufferer of anorexia as they navigate their life and relationships. The full release PC version of Shrinking Pains. Play as a young sufferer of anorexia as they navigate their life and relationships. A Purr Tale, a 20 minutes game where you live the life of a little cat at his home. Soon you realize that everything wasn't as well as he thought.